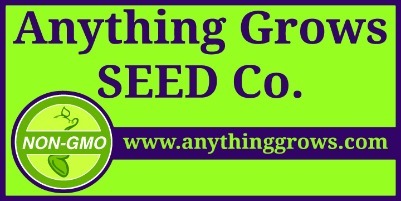 A unique High Mowing Organic Seeds creation you won’t find anywhere else. 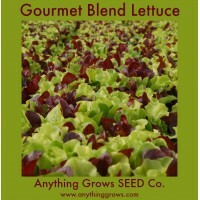 This tasty and attractive mix includes a wide variety of lettuces including romaine, lollo, green and red leaf and more. A signature mix with unique shapes and colors that chefs and gourmands will love. Lettuces in every shape and color. Maturity 28 days baby leaf. 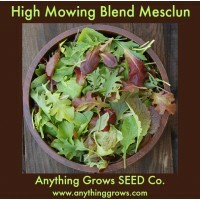 ..
High Mowing Organic Seeds best-selling item for the home garden! Thier own blend of lettuce and mustard greens. The diversity of this mix will give you a great medley of flavor and color. Mustards grow quickly, shading the soil for lettuces, creating a bountiful mix of greens that will cut-and-come-again. A complementary mix of lettuces and mustards. Maturity 28 days for baby greens. .. 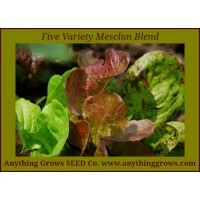 This is Renee's Five Variety Blend of heritage lettuce blend for superior baby leaf salads. It is a careful balance of flavors, colors & textures. This is an amazing mix of greens! Includes: Flashy Troutback, Blush Butter Cos, Red Devil's Tongue, Red Ruffled Oak, & Sucrine. (approx. 1000 seeds/pack) Maturity 30-40 days. START SEEDS OUTDOORS: In early spring, sow seeds in finely worked soil in full sun. 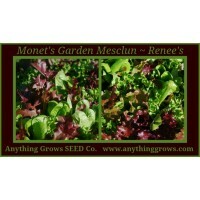 Shake seeds from the palm of your hand, bro..
Monet's Garden, Mesclun Mix. (approx. 2000 seeds/pack). A beautiful watercolor palette of different lettuce tastes and textures and colors created for Renee's by wine country specialty growers for fast "cut and come again" harvesting. Equal parts: Little Gem, Dutch Redina, Rouge Grenobloise, Red Salad Bowl & Tango. This is one of our Favorite to grow ~ Beautiful & Edible! ..